Shahzad Masih worked as a sweeper at the Shahmim Riaz Hospital, Gujrat District. His accuser, Ishtiaq Qadri, is a member of Tehreek-e-Tuhafaz, an Islamist extremist party. Death threats have forced his family to flee. Now the boy could die. 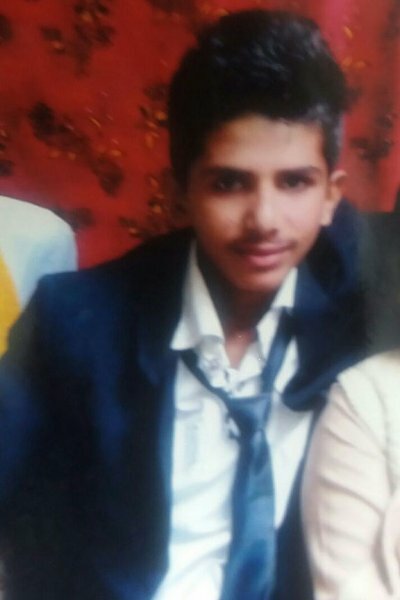 Lahore (AsiaNews/Agencies) – A 16-year-old Christian boy, Shahzad Masih, has been accused of blasphemy by a member of Tehreek-e-Tuhafaz, an Islamist extremist party, and was arrested by police in in Dinga, a city in Gujrat district, Punjab. Since the boy’s arrest, his family has been unable to find him. Police have refused to acknowledge holding the boy, and will not give the family access to him. Despite his young age, Shahzad worked as a sweeper at the Shahmim Riaz Hospital. The family says that last month the boy was involved in a disagreement over religious matters with Ishtiaq Qadri, his accuser, and had come out of it with the help of Dr Tariq, one of the hospital’s physicians. On 13 July, the radical Islamist again tried to provoke the young man, who allegedly insulted the prophet Mohammed. The boy's mother has rejected the accusation. "I have raised Shahzad as a devout Christian. I have never taught my son to hate people of other religions. This is why I'm sure the charges against him are false." Yesterday, after the 16-year-old's arrest, his family was forced to flee the city of 80,000, home to about 150 Christians, after death threats were made at a nearby mosque. On social media, the young man’s picture began circulating with the word "laanat" (shame). In Pakistan blasphemy is punished with the death penalty. Even suspicion alone can provoke violent reactions on the part of the Quran's defenders. For Wilson Chowdhry, chairman of the British Pakistani Christian Association, the arrest of the Christian boy is a source of sorrow. "These draconian [blasphemy] laws are being used as a tool for discrimination and forcible conversion every day and the world stays silent,” Chowdhry noted.